With more and more consumers using their mobile devices in-store to compare prices and search for deals on similar products, brands are searching for ways to entice these consumers to put their phones down and make a purchase. Cloud4Wi, a cloud-based Wi-Fi engagement platform, has recently announced the launch of Cloud4Wi Mobile Management. Through the new tool retailers will have access to the Cloud4Wi platform on-the-go to control their Wi-Fi marketing campaigns remotely. 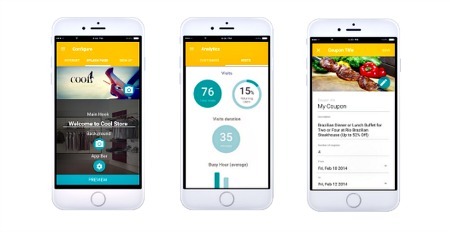 Cloud4Wi, for those unfamiliar, enables brands to serve their in-store guests with a completely customizable guest Wi-Fi experience where they can receive actionable analytics on how guests are using their service. For example, brands are able to receive information like the number of visitors, returning visitors as well as age and gender. Also, marketers are able to leverage the platform to create custom in-store coupon campaigns that target users through their guest Wi-Fi connection.